Searching for Binary options trading signal services? Find the best one for you in our comparative table of the most reputable binary options trading signal providers. The Binary Options trading signal Comparison Table is designed to give a quick overview of the Binary options signal providers and their features. Find the one that adjusts to your needs. The comparative table is summary of the signal providers’ profiles. For full details click on the providers’ full review. Please refer to our full Binary Options trading signals Comparison table and brief guide for more information regarding binary options signals and how to compare them. 14 Day – $14 Trial! Back in 2008, when the retail binary options market was born there where literally no signals services catering for the needs of binary options traders. However, as the industry grew it also generated a huge demand for solutions that would enable traders to achieve better profits, in less time and in a less stressed manner. In turn, this has brought to the fore a plethora of signals services aiming specifically at binary options traders. Binary options signals are derived from the market analysis performed by the signal providers, which is done either manually by a human or humans experts in the market, or automatically through specially developed software programmes that analyze trading charts. In theory, this analysis results in professional trade alerts guiding the decisions of traders with regard to when, what, and how to trade. If you are a binary options trader who is interested in using a binary option signals services, then you must ensure that you fully understand which are the different types of signal services available, to be able to choose the signal service that is best suited to your needs and circumstances. While the appeal and popularity of binary options trading is its simplicity which makes the market truly accessible to all, binary options signal services aim to simplify the trading process even further by attempting to accurately predict the fluctuations of the markets. In this sense then, the binary options signals are the guide on how one can best use the tools put in the hands of traders by the trading platforms offered by binary options brokers. The binary options signals that are currently available to traders can be broadly classified into two main categories; namely the manual type of signals that are delivered by email, text message, streamed live or obtained via a website, which the trader then has to manually implement and the automated type, where the signal service is automatically and directly linked to one’s trading account. While most binary options signals providers offer and specialize signals coming under one of these two types, there are also others who offer a mixture of manual and automated signals, while there are also cases of signal providers who started off as manual signal services and who have gradually enhanced their offering by also offering fully automated trading signals synchronized with the trading account of the signal service subscribers. Manual binary options signals are still the most popular type both among providers as well as among users. 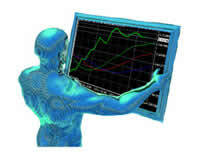 Irrespective of whether they are derived from the market analysis performed by pre-programmed automated or through the skill and experience of expert human market analyzers, the trading alert, once indentified, is relayed to the subscribers of such a signals service through an instant email or sms on their mobile phone. The actual appearance of such a trading signal may differ slightly from provider to provider, but in general terms each signal contains the exact details of what and when to buy or sell, as well as the expiry times for each trade to be placed. The best feature of this type of trading signals is that they can accommodate the needs of those wishing to be able to trade on the go, since a trader can receive the signal on his/her phone and proceed to place the relevant trade via their broker’s mobile application. This grants traders more liberty as they don’t need to be sitting in front of their computer to be able to receive the trading alert and execute it. The live streaming of the trading activity of an expert trader, who shares his moves with subscribers through a dedicated password protected website is another popular method of delivering manual binary options signals. In fact this method is preferred by many as it usually produces remarkably good results and it is transparent since the expert trader is trading the market in real time in front of the eyes of each signal service subscriber. Seeing the trading charts and methods used by the professional trader, each subscriber is able to observe and copy the trades being placed and benefit from the skill, experience and expertise of the master trader. Besides being able to watch the moves of the expert through the live streaming being broadcast, subscribers to such a service may also communicate with the expert to ask their questions or even communicate with other traders also using the service at the same time through a chat window that is usually available. The main advantage of obtaining binary options trading signals via watching the live streaming of a master trader trading in front of you is that the conditions resemble those of a professional trading course that could, under other circumstances, cost you dearly. Besides taking part in the excitement of a real, live trading room you get the chance to learn a lot about how markets work and how to trade them effectively, through the real life application of methods and techniques, which are an invaluable training and educational experience. On the downside, if you choose this method to get your trading signals then you should be ready to commit to be able to watch the live trading session of the expert trader at the certain time that he/she chooses to trade, these usually being the times when the market is most volatile and gives rise to more profit opportunities. Moreover, before subscribing to such a service you need to be aware that streaming live signals are usually most suitable for those binary options traders who prefer trading short expiry times such as 1,2,5 or 15 minutes. The third method of obtaining binary options signals is through an automated procedure generated by trading software which is linked to a web based platform. Subscribers to such a service are required to log in to the web based application using a password to be able to access the trading alerts generated by the software, which is in turn either managed by expert traders or a pre-programmed analysis of indicators and charts. The signals provided through this method are analysed in real time and are usually offered for a variety of different assets and are accessible across all devices, featuring useful graphs. This type of signals are usually shown in terms of percentages of trend expectancy and are easy to read and follow, although their exact format differs depending on the programming and design of the website of each provider. The signals obtained through web based platforms can be used for placing both very short term trades as well as longer term trades of up to one hour. Such trading alerts are better suited for traders preferring a more proactive approach to their trading, while benefiting from the ease of access to professional signals in order to trade shorter expiry times. 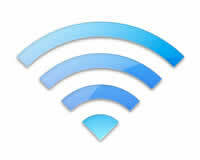 Most signal providers charge bi-weekly or monthly fees. The providers which deliver their signals via a web based platform differ in this regard, since they only usually charge a one-time fee and no monthly fee, which could be argued to be greatest advantage of this kind of service. The generation of automated signals executing trades automatically on binary options trading platforms through web-based software extensions came some years after the birth of binary options trading, because the necessary technology had to be developed first. Developing such solutions had first to overcome the inherent hurdle created by the fact that binary options trading does not use downloadable platforms and thus dedicated robots for web-based platforms had to be created from scratch. Since this problem was adequately addressed, there exist today many companies that promote the use of such robots that are able to be attached directly to the trading accounts of traders using web-based platforms in order to generate automated binary options signals. Another method to generate such signals is having the robots attached to conventional forex trading platforms, and then transmitting the signals through software bridges to the web-based binary options platforms. The effective use of signals could potentially greatly enhance the success and overall trading experience of all traders. Having said that all traders should be aware that good quality signals will always be costly and they should view them as an investment which could lead to financial success, without overlooking the fact that obtaining and implementing trading signals could also potentially be a very educational and enlightening experience. 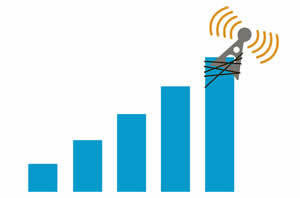 How reliable are signal profitability figures? Naturally, the main motive behind a trader’s decision to subscribe to a signals service is to increase their profitability chances by taking advantage of the signals ability to accurately predict market outcomes. Therefore, the first thing that they look for in a signals service is a good record of past successes. Sometimes these are impressive, but the truth of the matter is that you can never be sure if the numbers shown by a signals service provider are fully accurately, nor that the so called “customer-testimonials” featured on their sites are true. Moreover, even if a signals provider does have a good track record this is not a guarantee for its future performance. Nevertheless, it is highly possible that a signal service that has historically performed well will likely continue to do so in the future. However, your decision to subscribe should not be based on the reviews or experiences of others, nor on the claims of the providers themselves. It is better to make your own conclusions by testing the effectiveness and success of a signals service through trading the signals for a while on a demo account, where no real funds would be put at risk. 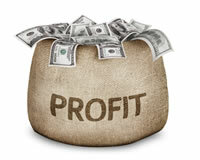 Moreover, although important, profitability should not be the only factor of the service you examine. You should also take into account the overall reliability of the signals service provider, who they are and how long they have been in the industry for, as well as comparing whether they have on offer any trial periods or money-back guarantees. 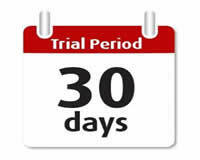 The industry standard is that signal service providers do not offer a trial period for their services. This is especially true in the cases of the most successful providers and it should not come as a surprise to aspiring subscribers. However, there do exist several signal service providers that do offer trial periods, some for free and some for a small, nominal fee, allowing in this way the interested traders to evaluate the level of the service being offered and discern whether its actual profitability performance is in line with what the provider is advertising or promising. 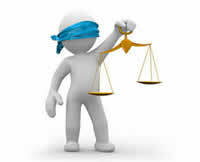 Since testing a service in real conditions before you make any long term commitments is the only method to build a solid opinion on exactly what you would be getting, you should always aim to test everything that can be tested and thus it is strongly advisable that you use any available trial periods to their full effect. Another significant factor to seriously take into account is the method that the trading signals are delivered through and the connotations and/or implications that this may have. You need to be aware of all the details surrounding this before committing to subscribe to a service, since poor knowledge may lead to complications down the line, since not all signal delivery methods are suitable for all traders. For example, if you prefer to be receiving manual trading signals via sms but your phone network provider delivers them with delay or does not grant you good internet connection at all times, then chances are that you will not be able to execute the relevant trades in a timely and successful manner. Moreover, if you choose an automated signals service provider, bear in mind that often they prefer to with pre-selected brokers and offer their service for free, provided that you open an account with a particular broker. If that broker is not convenient or to your liking or if you already have an account with a different broker and do not wish to change brokers, then the particular automated signals may not be ideal for you. Although the promise of a money-back guarantee is always appealing you should be aware that in the case of a signals service this does not entail the recovery of any losses that you incur during your trading following the subscribed signals, but rather simply mean that you can claim back only the cost of the actual signal service that you have paid. 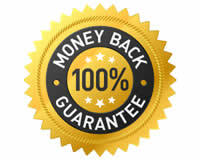 The offer of a money-back guarantee is not regular feature of binary options signal providers, so it worth trying out those providers that do offer such a guarantee. To make things even safer for you, try out those signals through a demo trading account so that if you incur losses you will not be losing real funds and you will be able to claim back the money spent on the signals service if it proves poor, ineffective and unprofitable. As a final piece of advice pay particular attention to the following, simple truth: even if you carefully consider all the relevant factors and you do manage to find and subscribe to a good binary signals service provider, you should not fall into the trap of assuming that things will always and forever run smoothly. There are many examples of service providers who started off with impeccable and profitable records only to allow their service level and performance to deteriorate. Remain vigilant and keep in mind that past performance is never equated to future outcomes. Therefore, keeping evaluating the profitability and overall service level of the signals service you choose to subscribe to and terminate your subscription if things start going the wrong way, while also be open and on the look out for new or better performing services that may come up, which will be more helpful in your trading endeavours. -Entry, exit and stop loss (in the case of Forex) points for a number of currency pairs, or in the case of binary options currency pairs, commodities, stocks and indices. -Accompanying analysis which can be in the form of a small piece of text informing the trader of some of the context surrounding the given trading signal, and/or some kind of graph or charting platform screenshot depicting prior price action and projecting what is likely to happen. -Screenshots demonstrating the signal provider’s previously successful trades using the same method. 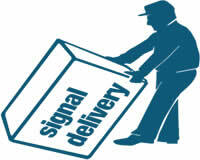 -Personal interaction with the provider of signals either by skype, email, chat, forum, or twitter. -Personal account management in which the signal provider takes control of a trader’s account and places trades for them. But with so much money available in a given industry there are inevitably people trying to profit without delivering the goods. And with something as desirable as trading signals, which are basically just simple instructions as to when to open and close a trade, you never know what you are paying for. Online trading signals are rapidly getting a bad name because of this, so an otherwise useful resource for traders becomes tarnished by unscrupulous websites trying to cash in on the demand without having the knowhow to meet the supply in all but fraudulent ways. Of course this is nothing new, the buzz surrounding this or that individual with an almost magical grasp of market movements has always been around, even before the technology was available for it all to happen at a distance. Nevertheless now with this contact being almost solely virtual it opens things up for manipulation far more than ever before. This is why we have decided to lend our good name to trading signals from proven trading experts who are affiliated with binaryoptionswire in some way, either as columnists or regular posters who have been able to demonstrate a unique and penetrating view of the markets. Our service seeks to strip things down and keep them simple. As soon as you register your interest with us you will receive three free binary options trading signals via the preferred method you have signed up for. You can test the value of our signals immediately just to make sure that what we are offering is a legitimate product. If you have tested them out and are happy with the quality of the signals you have received you can sign up for a paid subscription to our daily binary options trading signals. We do not offer any kind of tiered account structure that offers more to those who pay more. We do not believe in managing your trading accounts either as this prevents you from bettering yourself as a trader. All we offer are timely, accurate binary trading signals from professional traders who are experts in the field of binary options.